It is becoming increasingly known the extent to which our data and information is tracked on the web. It is also becoming more common for websites to block content to countries outside of their own. This is where a VPN app like TunnelBear comes in handy. TunnelBear not only blocks sites from tracking data, it also allows you to choose the country to which you want to browse the net from. After using TunnelBear I was very pleased with its ease of use and effectiveness. 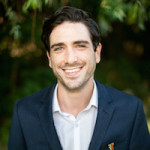 I got to chat with the Toronto company’s co-founder Ryan Dochuk about their product. In layman’s terms, how does TunnelBear work? The TunnelBear app digs a secure “tunnel” between your computer or mobile device and our servers that are physically located in another country. To anyone trying to monitor what you browse, it will simply look like scrambled information. Also, when you browse, you will experience the internet as if you are living in the other country. Why do companies restrict content to a specific country? One of the big promises of the internet was to flatten the world and do away with geographical boundaries. It’s almost 2014 and it seems to be going in reverse! Governments around the world are increasingly blocking and censoring websites and companies stubbornly cling to old geography-centred business models. What are the legal restrictions behind blocking your location and browsing info? 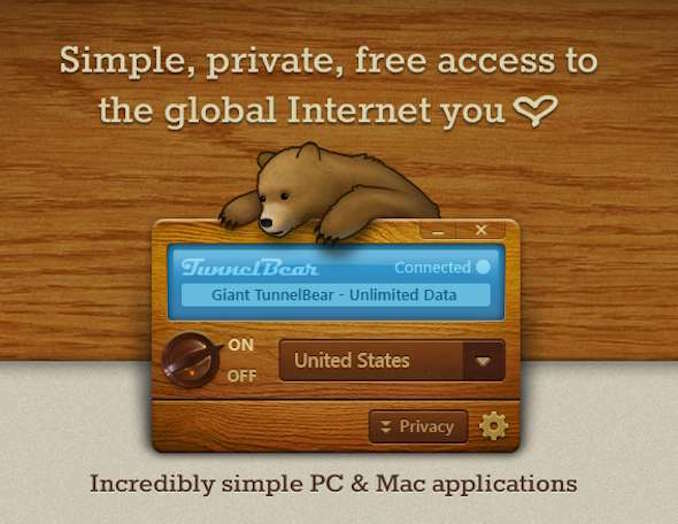 Just like locking the front door of your house for privacy, there’s nothing illegal about securing your online browsing with TunnelBear. However, some websites do state restrictions in their Terms and Services. If you are browsing with TunnelBear, it’s not a bad idea to understand those restrictions. Besides choosing your country to browse from, what other things are important to block or protect from tracking? I think first of all, people need to know that when they browse online that nearly everything they browse is already being tracked. Every search, every website they visit, every purchase they make and really anything they do. It’s all being recorded. This information is commonly shared between companies and their is a profile about them and their online behaviour. It’s accessible to nearly any company willing to pay the fee. Some people don’t like that, so TunnelBear also blocks many of the website trackers that advertisers and social networks use to record what you do online. Who can benefit most from this service? Anyone who wants to browse online privately. Anyone who lives in a country with censored or blocked websites. Tell us about the twitter promotion to get more free data through your service. When you download a TunnelBear, you get 500MBs of free data each and every month. If you tweet at @theTunnelBear, you get an additional gigabyte of data for free. There’s also unlimited data “Giant” and “Grizzly” TunnelBears starting at $4.99 a month. Toronto has an incredible pool of world-class designers and developers. 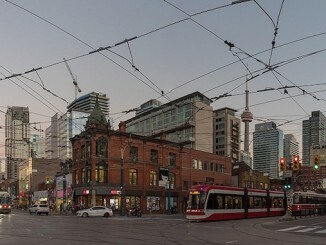 Queen and Spadina is a great place to have an office, with tons of great lunch spots and a vibrant community of startups, agencies and entrepreneurs. What are some of your favourite Toronto born businesses? The tried and true Avenue Open Kitchen is most definitely TunnelBear’s number one choice for a greasy lunch. Check out their website for up to date information.